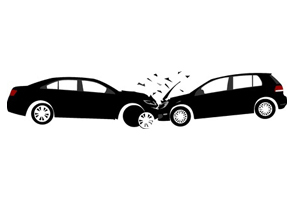 By far the most common insurance claims involve automobile accidents. The firm believes that the best defense begins early in the claims process and early action leads to later results. Our approach to handling these cases begins with a comprehensive initial evaluation and report to the insured and carrier. This includes an analysis of the potential liability, damages (based on the available medical records) and potential exposure. We also make certain to meet with the individual insured, personally visit the accident site, secure photographs, identify witnesses (and arrange for statements where possible) and gather as much evidence as possible in the early stages. We do not allow the plaintiff’s counsel to dictate the direction and pace of a case and our defense strategy is developed and contemporaneously shared and reported to the carrier. We have also developed and cultivated a list of reliable and litigation savvy medical experts to review records, examine plaintiffs and offer supportive testimony at trial. The entire process is geared towards building a strong defense and giving the carrier the information necessary to make intelligent and reasoned case determinative decisions. The firm’s staff is well trained and experienced and each member of the team are fully acquainted with all pending matters and work collectively to provide our insurance carrier clients with superlative work product. The firm practices in the courts of New York City (Manhattan, Brooklyn, Bronx, Queens and Staten Island), Westchester County, Nassau County, Suffolk County, Putnam County, Rockland County, Dutchess County, Orange County, Sullivan County as well as the Superior Courts throughout the State of New Jersey.